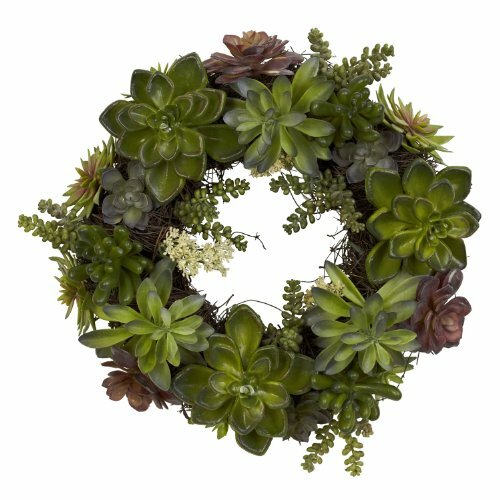 Stately, interesting, and a definite focal point - all without being overwhelming… that perfectly describes this stunning artificial succulent wreath. Just take a look at the different shapes and textures displayed here, all twisted together in a twisting, turning wreath that you will be proud to display year-round. Also makes an ideal gift for any nature-lover.